The United States space shuttle Endeavour took off from Houston's Ellington Airport on its voyage into retirement just after sunrise on Thursday, leaving behind heavy hearts as many consider National Aeronautics and Space Administration 's successful space shuttle programme, a part of Houston history. The shuttle took off on a flight path over the Johnson Space Center then downtown Houston. It was scheduled to make additional low-altitude flyovers in Austin and Phoenix. 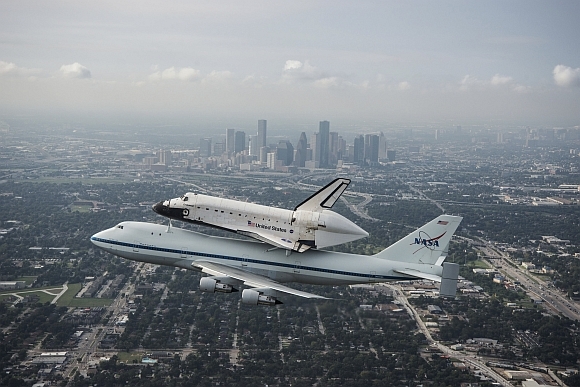 NASA said about 20,000 people showed up to view the shuttle at Ellington during a public showing on Wednesday, craning their necks and clicking their cameras to bid adieu to Endeavour, which flew over Houston after a two-day weather delay. 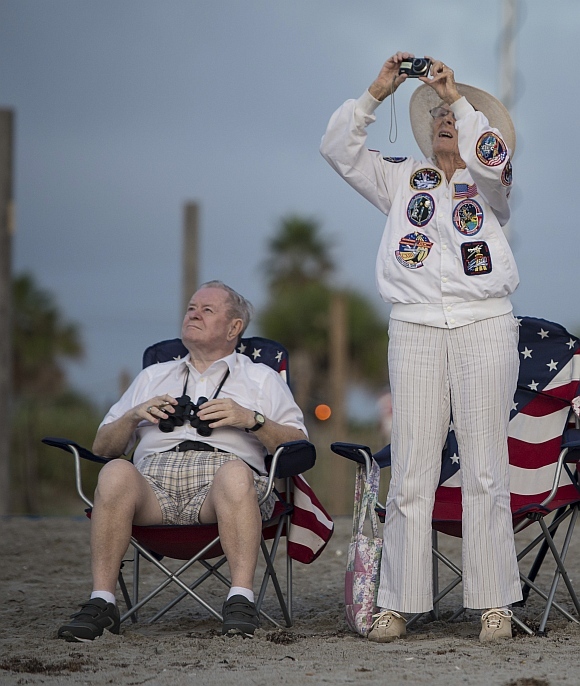 People all around town were treated to the 90-minute flyover as the shuttle rode on the back of a specially-fitted NASA-747 aircraft on its way to California. The exact timing and path of the ferry flight will depend on weather conditions and operational constraints. Some planned flyovers or stopovers could be delayed or cancelled. NASA says the space shuttle Endeavour will honour former Arizona congresswoman and shooting survivor Gabrielle Giffords with a flyover of her hometown, Tucson, on its way from Texas to a California museum where it will be displayed. 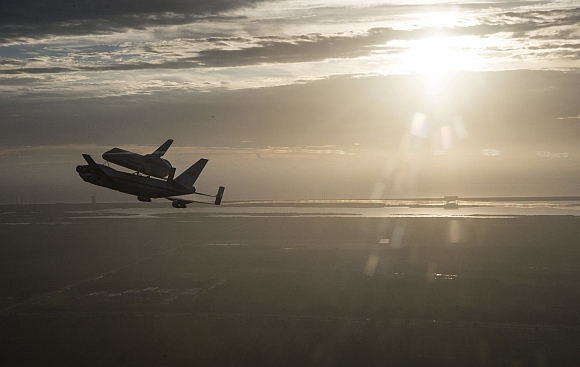 The plane carrying the shuttle will fly low over several cities en route to California. Endeavour is NASA's youngest orbiter, built as a replacement for the shuttle Challenger, which was destroyed along with its crew in 1986. The orbiter launched six astronauts into space on May 16 from NASA's Kennedy Space Center and returned to Earth in the wee hours of June 1. This final mission, STS-134, delivered a $2 billion particle detector called the Alpha Magnetic Spectrometer to the International space station, along with a set of backup supplies to outfit the station. After this final voyage, Endeavour will be retired to the California Science Museum in Los Angeles for public display. AMAZING PHOTOS: A solar eclipse on the Red Planet! IN PICS: The 'Ninja' plane that can rotate in mid-air!